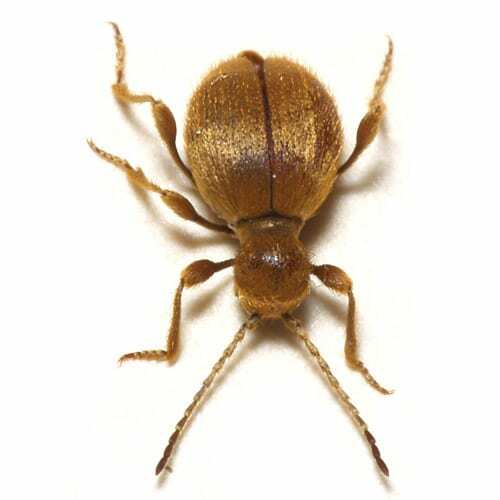 Spider beetles belong to the family Anobiidae, and the subfamily Ptininae. There are about 500 categories of beetles in this family. Spider beetles have ball–shaped bodies and have elongated, thin legs. They don”t have wings like the other beetles. 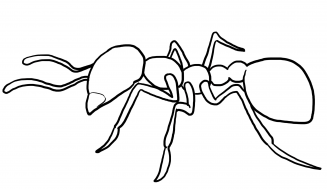 Their length may vary from 1 – 5mm. They may produce their offspring twice or thrice in a year. The Larvae as well as the grown up beetles feed on decaying flesh, rotting plants etc. Spider beetles are much smaller, and to a certain extent, they resemble little spiders because of their long legs and comparatively big and spherical shaped abdomens. That’s how they got their name. 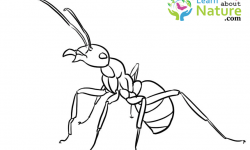 Ptinids cannot be considered as common destructive insect, but in some circumstances they may increase their number and may cause destruction. These scavengers are mainly present in pantries, museums, grain mills, warehouses and attics where there are the droppings of birds, bats, or rodents. 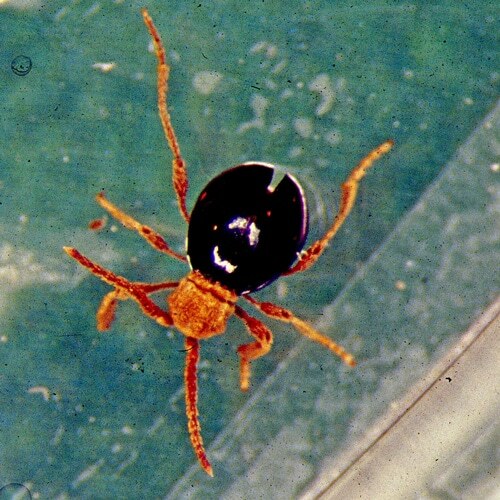 Matured American Spider beetles may be about 1.5 – 3.5mm long. Their belly will be glittering with dark reddish-brown to black shades. Yellow or cream colored hairs provide a covering to their head, thorax, legs, and antennae. 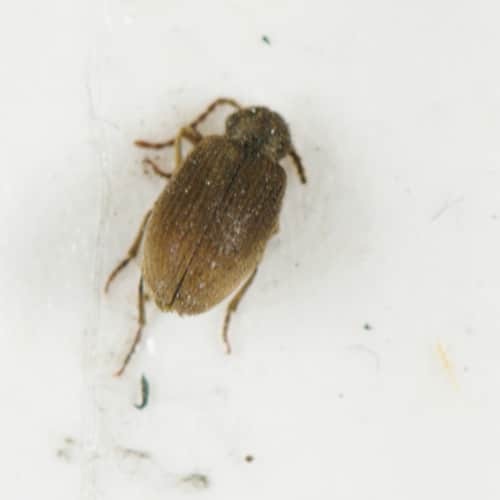 Some of the fully grown up white marked beetles may vary from 2 to 4.3mm and have a mild brown shade along with spots of white hairs on their elytra. But these white spots may go as the beetle gets older. When comparing with the belly of the females, males are slender and longer. The fully grown smooth Spider beetle is very much alike the American Spider beetle in form and shade. 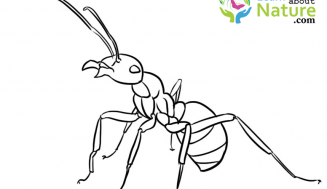 The head, thorax, legs, an antennae have the same pigmentation as that of their belly. 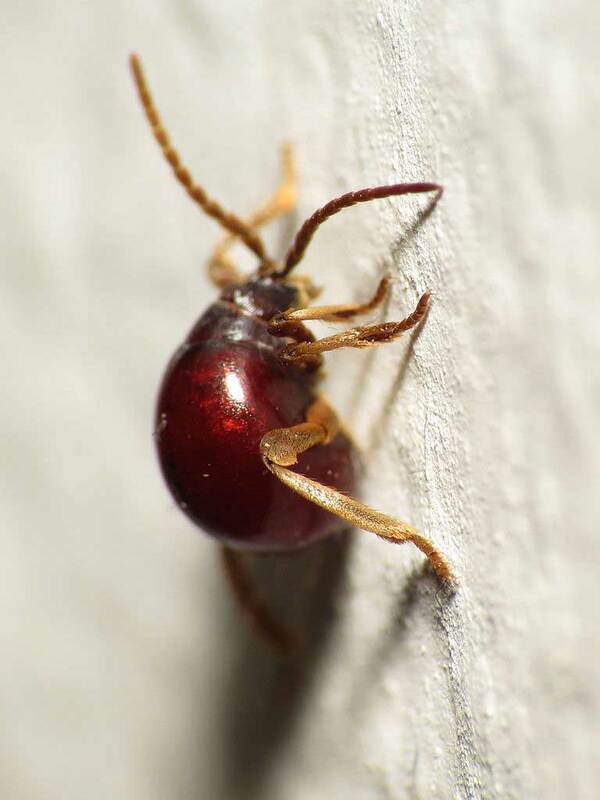 This category resembles a big reddish mite rather than any other Spider beetles. Matured hairy Spider beetles can be seen commonly all along the spring season. Female beetles may spawn about 40 eggs, which have a circular cross section and tapers towards each end. They will be pearl colored and of length around 1/32 of an inch. Usually, they place the eggs in the external part of big bags that contain grains or at the intersections of walls or gaps which may have flour debris. The larvae come out of the egg and extend up to 1/8 of an inch. The larvae will have a cream shade and brown colored head. The progress happens in three months and within this time they molt thrice. They pierce into logs or cardboard cases to live throughout the winter season within the pupal cell as the real pupation happens in the coming spring season. Most probably, a few of the Spider beetles, residing in the buildings of an earlier time where the necessary nourishments are gathered together, stay energetic all along the winter. Their attention is drawn to moist areas, excrements, and the shelters of animals that are not in use. Sometimes Spider beetles assume the form of pests in our dwellings, storage places, grain mills, museums etc. Basically, they are destroyers of cereals, which generally continue to be in store houses for a long time. Serious invasions of pests are seen in flour, bran feeds and in food preparations. In a few cases, the evidences of pest attacks are found out from the marks seen on woods in the houses which are made by the larvae at the time of the development of the pupal cells ahead of pupation. The American beetle”s head and legs have a cream shade and thus it is very difficult to discriminate the Spider beetles from them. The other category of Spider beetles consists of the Australian, the Golden and the White-marked. The glittering Spider beetles ingest stale food items that have reached its expiry. They may also eat cereals, pet food, stocked seeds, woolens, paper and the excreta of the beasts. They can be seen in the dwellings of birds and rats. If they dwell are in the garret (or habitable attic), they can be a nuisance. Matured beetles place their eggs in smashed or powdered grains, which are later eaten by the larvae. They also eat the hairs, plumes, and also the excrements of fowls and mammals. A few of the beetles are inclined to places having moisture. They prefer decaying food items which are not in a usable condition. The larvae of the Spider beetles have a bend and are usually of a whitish shade. They move in a circular motion and weave a silky cobweb like net on the exterior part of the food they takes in. They themselves weave lustrous cocoons in which they become fully grown up ones. It is not easy to find out a matured Spider beetle as they are energetic during the night time or in some dark areas. If you see certain holes in the packing or some kind of mesh over the food, or some shining sheathes, it is clearly evident that the place is being overrun by the American Spider beetles. Spider beetles are members of the family Ptinidae which consists of about four hundred and fifty varieties of species. Spider beetles were given that name for their casual resemblance with spiders. They are destroyers feed on decayed carcasses, and are able to spread quickly in the items which are stocked. They prefer to invade items that are damp and stale. 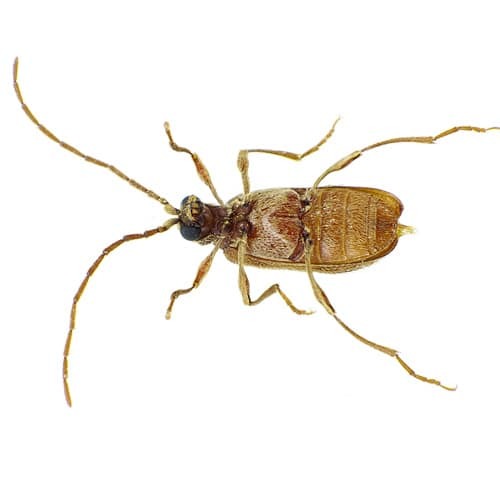 The widespread dilemma existing in Northern United States and Canada is that these matured Spider beetles can move along energetically even in frozen climates of these countries. Actually, around 20 various categories of Spider beetles create a common disturbance in Canada, with British Columbia. Spider beetles search for food items as well contaminate stored food products of human beings. These beetles may occupy places like the dwellings of birds, rodents, etc. and may eat excrements;” definitely they will be untidy. When they land on and reside in warehouses, mills, grain stocking place, and the like, they pollute the stuff, and may create heavy monetary loss. More than that, as the Spider beetles take in clothes, and paper; they become a big warning to products in museums and in store rooms. Whatever be the case, one thing is certain; these destroyer beetles do not spread illness to man. 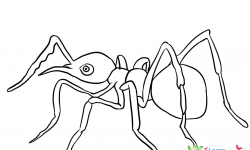 The American Spider beetle attacks the stocked food items and is a kind of scavenger pests. These beetles are called so because of the external appearance of the matured beetles. While we look at them from a higher level, they appear exactly as a spider. They have an arch – like shape. 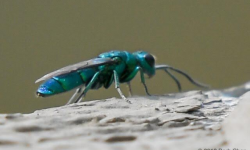 They posses elongated legs as well as antennae. The head along with the thorax of the matured American Spider beetle are enveloped with tiny hairs. A cream shade can be seen in their head and legs. They have a glittering reddish brown color to black in some cases. There is a chance of misunderstanding these beetles with the Shiny Spider beetles as they are totally reddish brown in color. A wide variety of Spider beetles are also seen like the Golden, the Brown, the Australian and the “Whitemarked”. These beetles can be eradicated by using insecticides in the gaps and holes. In order to get effective items, we have to ask the valuable advice of a pest control professional. Shiny Spider Beetle – Photo by: Walker, K.
Like the American Spider beetle, the Shiny Spider beetle is also a destroyer of stock items of food. They are similar to the spider when being looked at from above. The elytra provide it with an arch shape. They are tiny aphids and the matured ones may grow up to 1.5 to 3.5mm. Their shades differ from dark red to black. Often there occurs a confusion between the Shiny Spider beetles and the American Spider beetles. The former can also be seen in the dwellings of birds and rats. When these nests are very near to the living area, chances are high for them to get into contact with man. Most probably, Spider beetles are scavengers by nature. They may eat cereals, seeds, flour, meat, dried fruit and vegetables, fish, dead aphids, excreta of rodents, logs, cocoa, sugar, spices, etc. They are generally found in the gaps of walls roofs, because they come from the dwellings of birds. Commonly, the Spider beetles are destroyers of things stored in storehouses like seeds and some of the grains, including wheat, barley, rye, and flax. They are able to cause damage to some aphid groups and can also do much harm to the toy animals which are made with straw, beans, or cotton. They also attack flour and many of the edible things. This species are natives of Australia came to Europe and UK from there in about 1900. Presently, they can be seen anywhere. 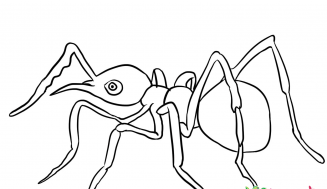 The shape of a matured Spider beetle is elliptical and their elongated legs look like that of big mites or tiny spiders. Their heads can”t be seen when we look at them from a higher position. 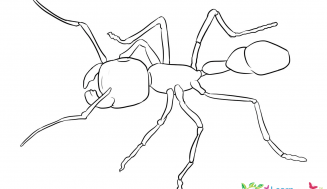 Their size varies from 1/16 to 3/16 inches and possesses lengthy threadlike antennae (most probably of 11 sections), they emerge from the anterior part of the head. Many of them are of brownish–black shade and have huge bellies in the shape of a ball. The first section of the thorax becomes narrower at the bottom of the elytra. Usually, the larvae take a C–shape and will be cream shaded. They have small legs. Their stomach part is divided and has a plenty of elongated hairs. In order to get rid of these beetles from the roof, the effortless method is to smoke them out. If they have spread throughout the dwelling, the usual spray remedy is found to be effective. Spraying of pesticides must be done in the corners of walls and floors for about three months. 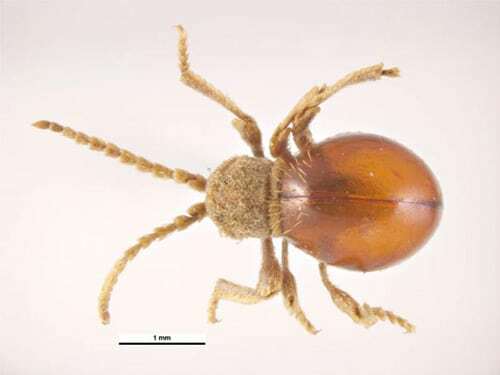 As the name suggests, the body of the Golden spider beetle (Niptus Hololeucus), that resembles the spider, is enclosed with shining golden hairs. They are small insects of about 3 to 4.5mm. They can be mainly seen in different kinds of cereals. They are somewhat mild categories of beetles commencing from West Asia, but presently they are very much sophisticated. This category of beetles is a tiny Spider beetle of around 3.5mm in size. Their anterior portion of the thorax is thickly shielded with light–colored hairs. The reddish brown dotted wing cases have white lamella which gives us the impression of four dim white dots. The shape of the females will be much spherical and darker as compared with the males. They are seen in areas where the people reside. They can be seen throughout the year. They search for and collect food from discarded wastes and other moisture less organic substances. Ptinus Fur seems to infest flour and many of the other stocked items like bran and grain. They also play the role of a destroyer in museums, invading the specimen of aphids and fowls. They can be seen in large numbers in Britain, especially in Central England and Wales. Sometimes, they can be seen in Leicestershire and Rutland. On account of the calculations made in March 2015, there were about 14 VC55 documents that give information regarding these beetles. 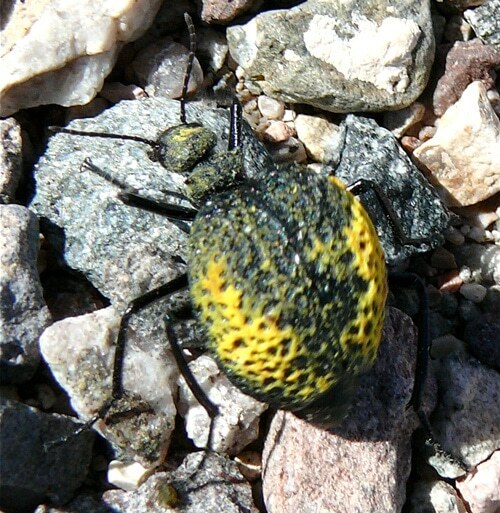 Usual and additional names of the Desert Spider Beetles are Desert Blister Beetle, Inflated Beetle. They have a measurement of 18mm. The enlarged and united wing case differentiates this class of beetles from the other Meloids. The plate like structure that covers all parts or especially the thorax have spines on the sides, disc suddenly slopes downwards in the back portion. It has a bigger elytral reticulum. Legs of males and females require the tarsal pads. Head to a certain extend are studded with tiny dots or holes. The upper side or back part will be black with a small metallic shade and also from white to yellow – brown in appearance. They can be seen commonly in the Colorado and Mojave deserts. 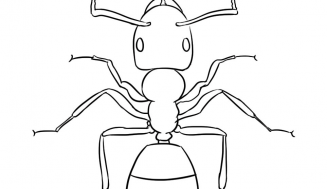 The pronotum (Amateur Entomologists’ Society-prominent plate-like structure that covers all or part of the thorax of some insects) is inclined sideways and outwards. They don”t have spinose and the disc slopes downwards only to a small degree in the back. They have a short elytral reticulum but will be in large numbers. Males” pro- and mesotarsomeres I and II have tarsal pads of great density. Their head have rough and deep punctures and their dorsal part will glitter shades of blue, green, or violet but don”t have a hard coating. They reside mainly in desert areas and are commonly found in Chihuahuan deserts. They can also be seen in some of the other places in US like Colorado and Mojave along with the Chihuahuan deserts.